I’ve learnt that one can never own enough phone mounts and holders. If you ever need something that can mount your iPhone on a bike, car, fridge, door, airplane I’ll probably have something lying in my drawer for you. Of course I got excited when I saw the launch of the IMStick, or Intelligent Magnetic Stick on Kickstarter. 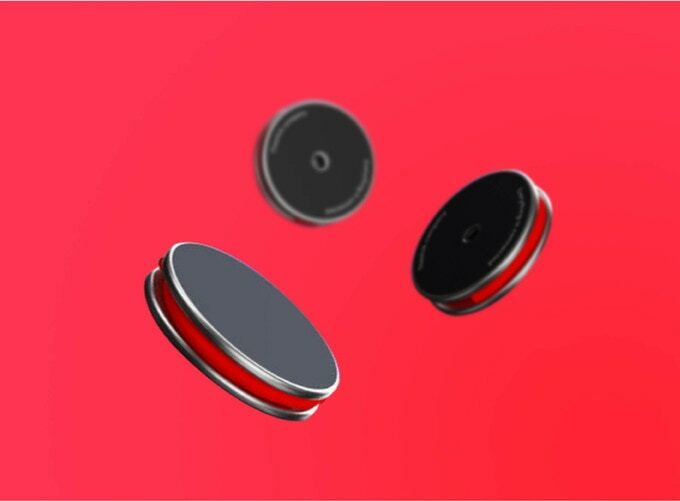 This is a small circle shaped holder made of aluminium and silicone plugs containing a set of 8 neodymium magnets that hold your phone safely into place. From it you can unravel two bendable wires to attach the IMStick anywhere you’d like to. It’s simple and looks to work really well in the testing the IMStick company has done so far. For compatibility it’s nice to know the IMStick will support magnetic chargers. It also has a small port to attach it to a camera mount. The IMStick has already reaches its funding goal. For about twenty bucks you can own one yourself. There’s a wide variety of colors for the wires and silicone plugs. You can also choose to fully personalize the IMStick with a photo or logo, so it makes a great business gift.